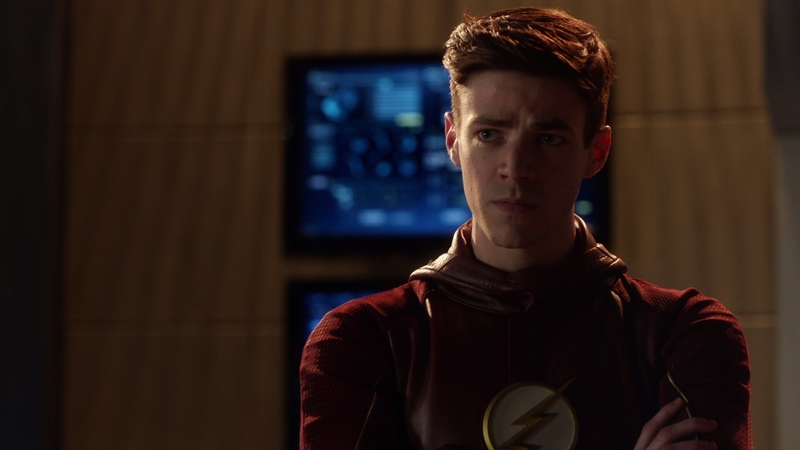 Barry Allen stares down his biggest foe in The Flash’s third season: himself. 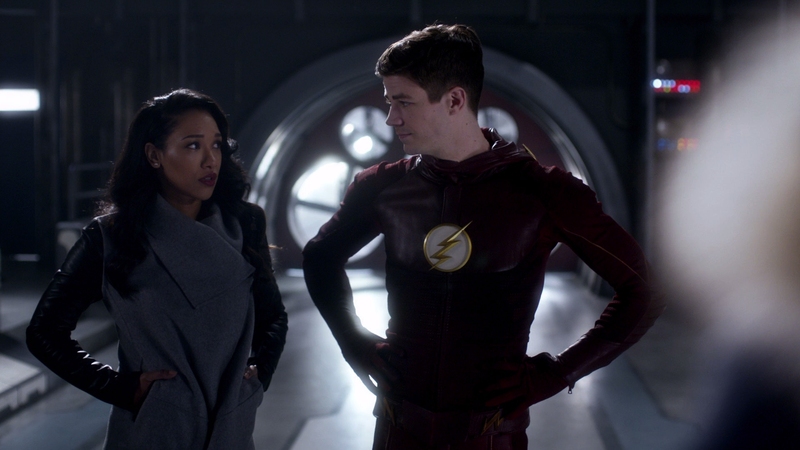 While the Comic Con hype focused on a live action adaptation of Flashpoint, the better half of The Flash finally confronts this show’s narrative reality – Allen is indeed Central City’s greatest threat. Allen’s blind narcissism reconstructed the lives of an entire planet. Some people died. Other lost loved ones. Some changed as to be unrecognizable – and yet he does it all again. He changed the entire timeline for love, a peak CW ideal that fueled the first seasons and overflowed into a panic in this third. Now, all of Allen’s tinkering comes to head. It’s the best solution for The Flash given where it’s been. The third season otherwise keeps the formula intact. The weekly villain constitutes Flash’s comic book origins. Science is mangled on the regular to come up with solutions to said villain (a “speed force bazooka”). 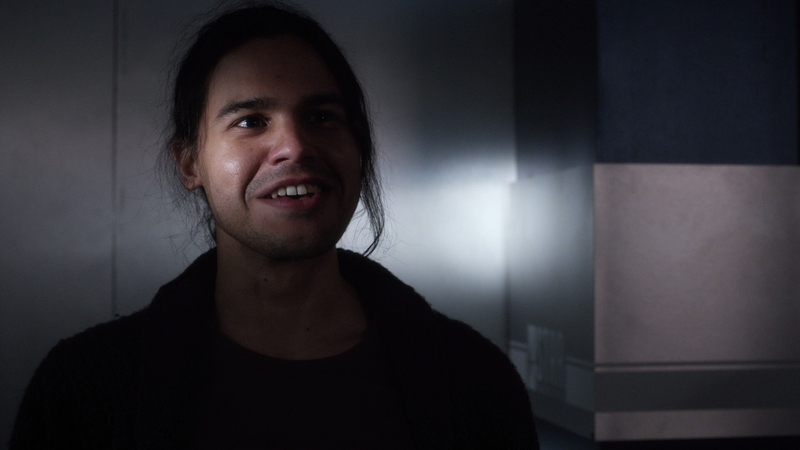 Levity regularly drops in, partly to acknowledged Flash’s kitschy tone, and to soften the inevitable dramatic blows to come. A wacky musical Supergirl cross-over bridges the shows in a creative way, and celebrates Flash’s kookier side. 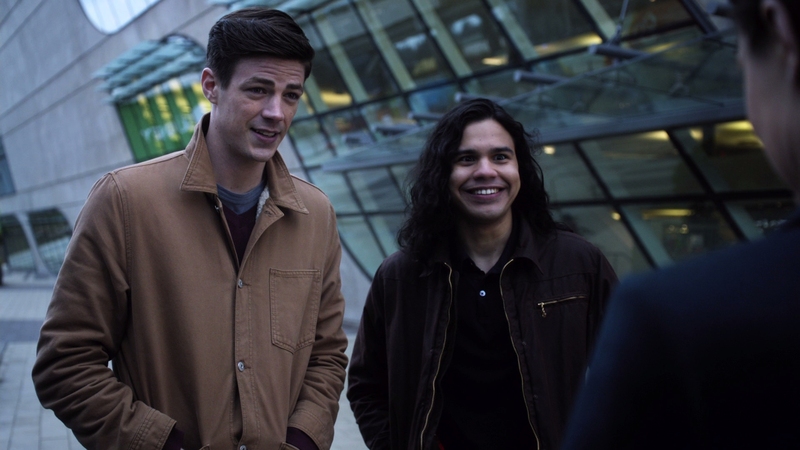 Another late season episode is built on comedic fluff to off-set a character death in the next; The Flash takes no chances with real emotion. To break up a bit of the monotony (and stretch this out for too many episodes again), The Flash brings in additional superheroes. Kid Flash (Keiynan Lonsdale) wrestles with inadequacy and identity, with a handful of will he/won’t he moments to spruce up the storyline. 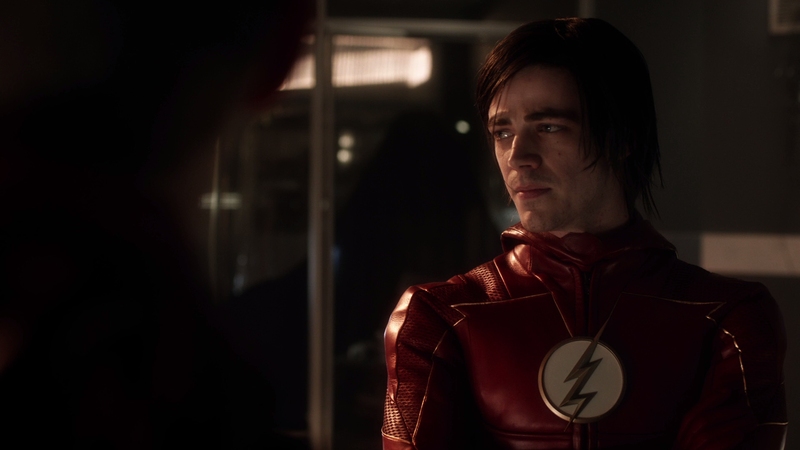 He pairs with Jesse Quick (Violett Beane), layering on additional romance and another back-and-forth emotional duel, as if The Flash didn’t have enough of those. CW also stuffs in a three-show cross-over, an alien invasion spectacle, one light on consequences. 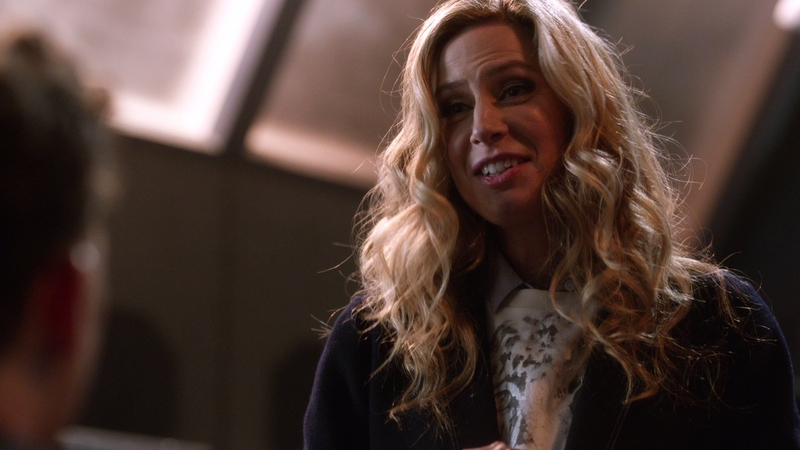 The writers link Barry Allen in, but more so on the Legends of Tomorrow episode than his own. It’s a throw-away, but a fine promotional stunt. 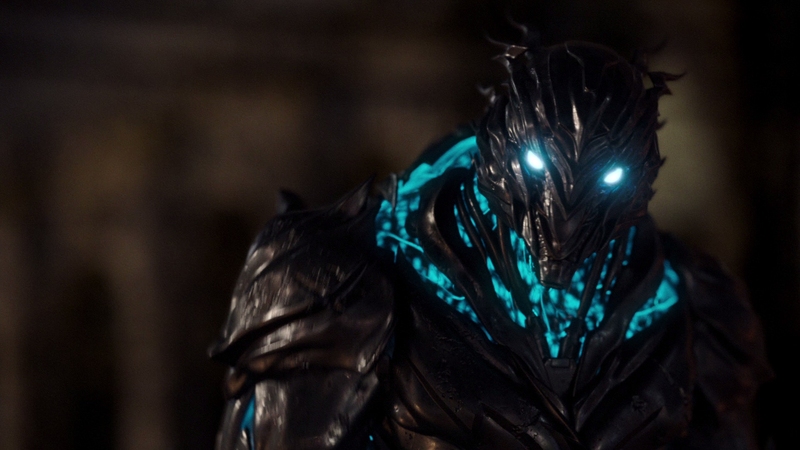 Besides, alien invasion is nothing compared to Savitar, a LED-infused super villain with pitch-changed voice and super armor. He’s a fun one, and smartly, turns the entire Flash saga into a confrontation over Allen’s own personal interests versus the greater good. It’s a classic philosophical debate, bettered by the events of two seasons prior and Allen’s egregious decisions. 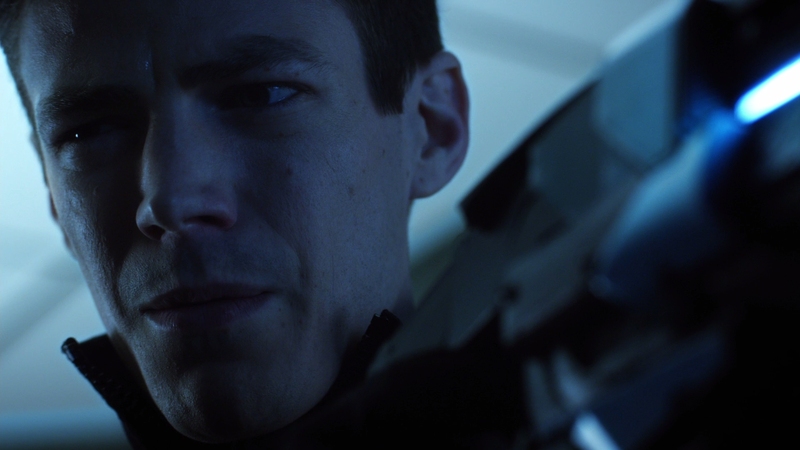 Season three isn’t always perfect and the cop-outs are disappointing, but at least The Flash shows a willingness to confront itself – unlike the superhero at the center of it all. 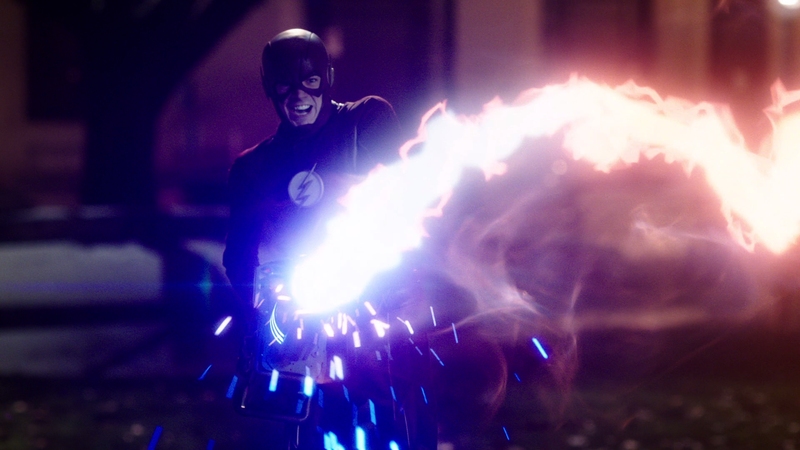 Offering powerful black levels, the strong shadows utilized by this series – especially near the finale – give The Flash spectacular depth. 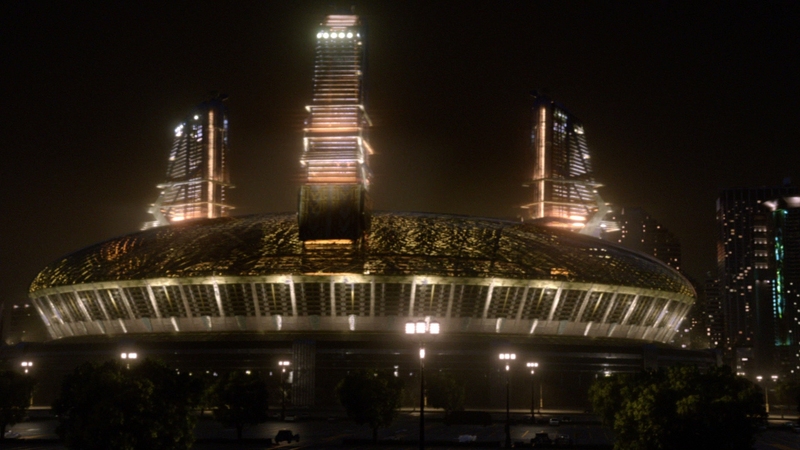 Inside Star Labs, light sources aid the other side. Light sources hit with strength, highlighted without causing a loss of fidelity. Combine both of these to represent this season’s villain Savitar, dotted with light and black. It’s an impressive sight on Blu-ray. While the highlight is arguably contrast, the uptick in fidelity over the cable broadcast is stunning. Medium shots, close-ups; both deliver the resolution impossible to achieve on cable. Outside of the lower resolution visual effects, hardly a scene goes by without hearty definition. 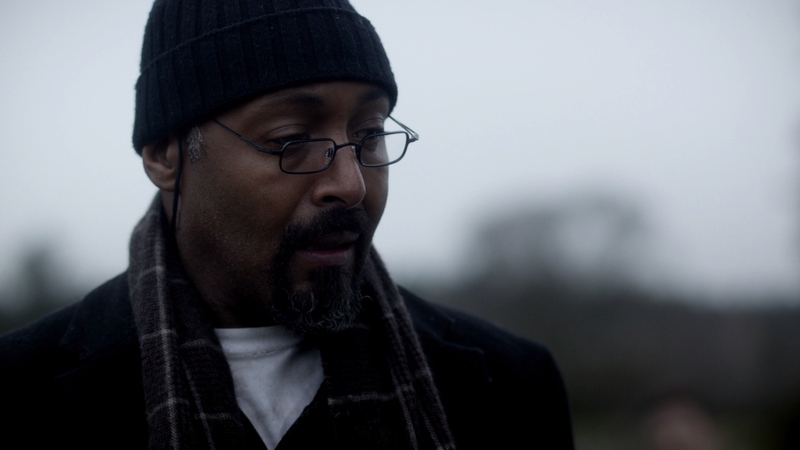 It’s a powerful look, negated only by cinematography (on occasion). The Flash comes on four discs, well spread apart to ensure stable compression parameters. Warner’s encode handles a mild level of noise, often imperceptible. The occasional bit of banding doesn’t draw much ire, although this is worth a mention. A key emotional moment at the beginning of the final episode reveals banding in the shadows, albeit quick. Varying color palettes keep flesh tones pleasing and bring out plenty of primaries. When The Flash draws on its emotion, the cooler teals and blues prove striking. DTS-HD provides a clean audio soundstage, particularly when it comes to range. Major action scenes prop themselves up on the low-end, accentuating Barry’s speed or a villain’s punches. Almost every episode uses the subwoofer for impact in some fashion. Reduced surround usage matches the weaker and shorter production of TV. Infrequent pans and somewhat lacking positional use is a disappointment, if consistent with the rest of The Flash on Blu-ray. 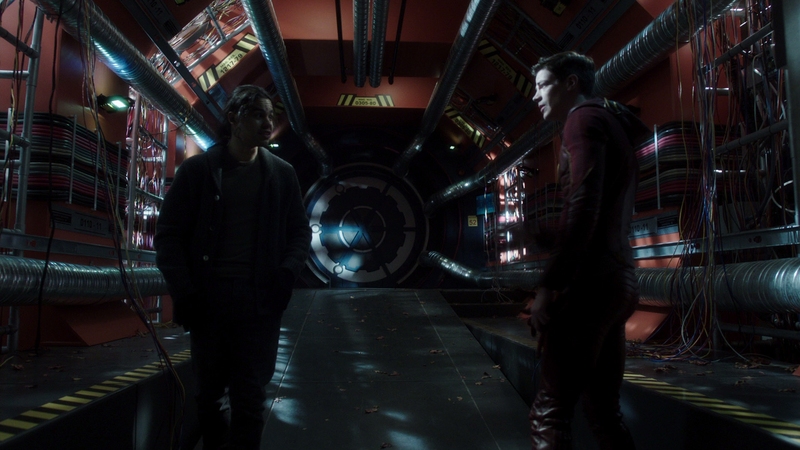 Still, Barry Allen whips around the soundstage when needed, tracking cleanly and (obviously) quickly. 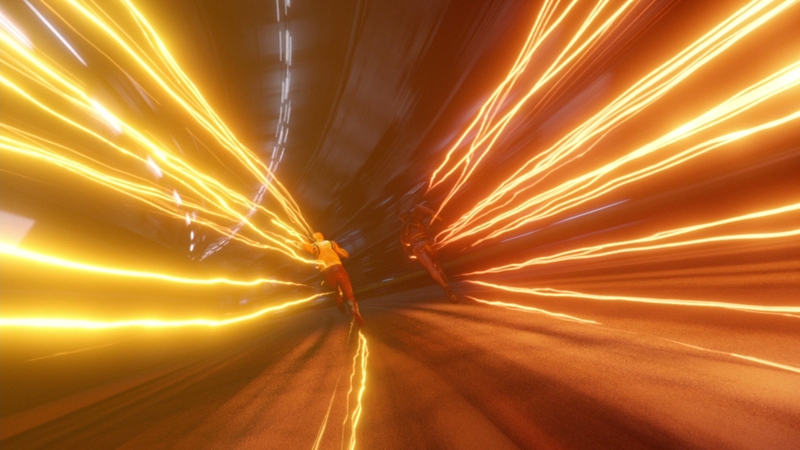 A half-hour Comic Con Panel opens the main bonuses on disc four, followed by A Flash in Time, a look at the time travel aspects and the comic book origins of Flashpoint’s story arc. A short interview with Kevin Smith and Andrew Kreisberg is fine, but at four minutes, not in-depth. A four-minute gag reel is a better way to spend the time. Deleted scenes feature on each disc for various episodes. Over on the first disc, Villain School peeks at the rogues gallery for this season, running seven minutes. A look at the cross-over event lasts for nine minutes on the second disc. Another nine minutes look at the visual effects for Grod and his gorilla city, that one on disc three. 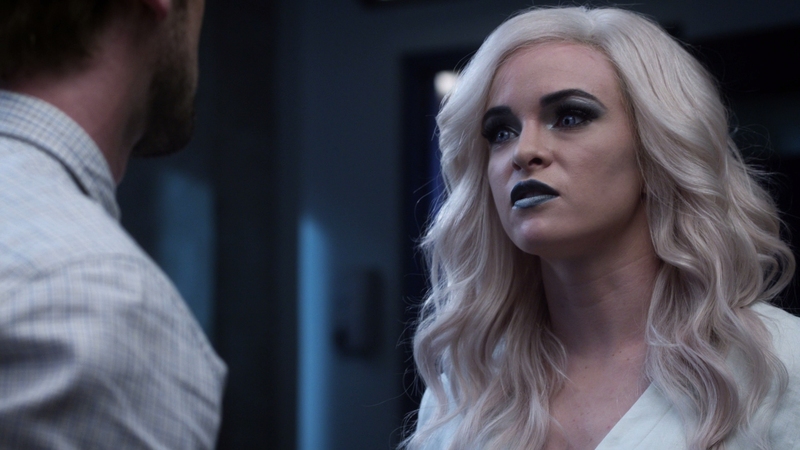 Hitting the Fast Note peeks at the musical episode, as do Harmony in a Flash and Synchronicity in a Flash, both looking into the composition process of Blake Neely. Combined, they reach 35-minutes. It’s a fine slate of bonuses this season. 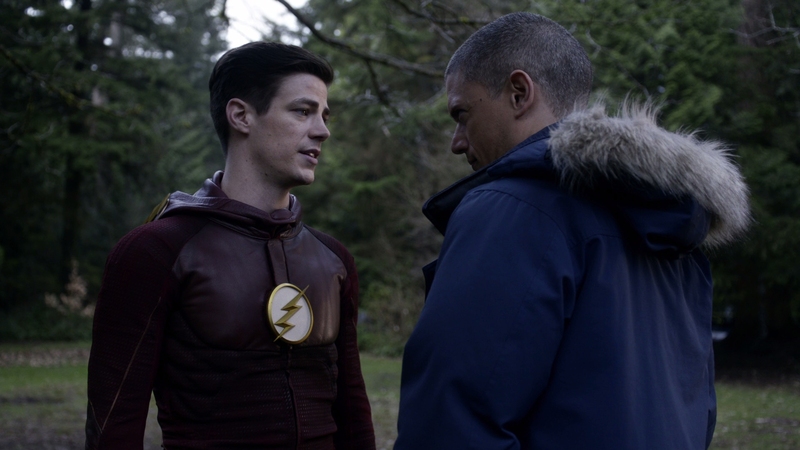 The third season of CW’s The Flash successfully pits speedster Barry Allen against his toughest foe yet: Himself. The 15 unaltered images below represent the Blu-ray. For an additional 15 Flash: Season Three screenshots, early access to all screens (plus the 7,000+ already in our library), exclusive UHD reviews, and more, support us on Patreon.